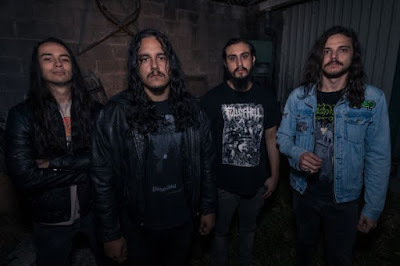 Black Magician is a hotly tipped Doom Metal Band from the UK. They have released their excellent debut album – Nature Is The Devil;s Church. – A 5 song and 43 minute blast of Occult Based Doom Metal music that pays homage to the past but also forging their own modern blend of Doom Metal. 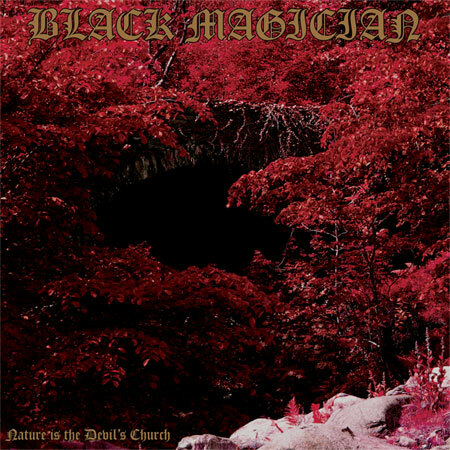 If you’re into Cathedral, Saint Vitus, Conan and Black Sabbath then you need to check Black Magician out. As these guys are on the verge of greatness. Their blend of Doom Metal incorporates Folk, Hard Rock, Occult Rock and huge lashings of DOOM. Their debut album is probably one of the finest and most organic albums I have had the pleasure to hear this year. I have been disappointed by a lot of Doom Metal bands this year. Mainly they try to put too many things in and it doesn’t sound like a proper Doom Metal album. But Black Magician blew my mind and soul away on the very first listen. This album is a masterpiece. For a debut album it’s a highly brilliant piece of work. It draws you in from the start and never lets up until the album has finished and that will last long into the memory. The album starts with a beautiful quiet piano piece called The Foolish Fire - that lasts about a minute or so. More of an indicator to tell you that something dark and majestic will follow. And it does with the 10:25 minute epic – Full Plain I see, The Devil Know’s How To Row. Brilliantly titled and brilliantly put together as well. This is a song that has many majestic moments’ as well dark terrifying occult based vibes as well. The Keyboards and guitars play superbly well off each other having a bit of a duel with each other at times. Then the track goes into proper doom territory with the eerie vocals of ace vocalist Liam bringing this album truly to life. 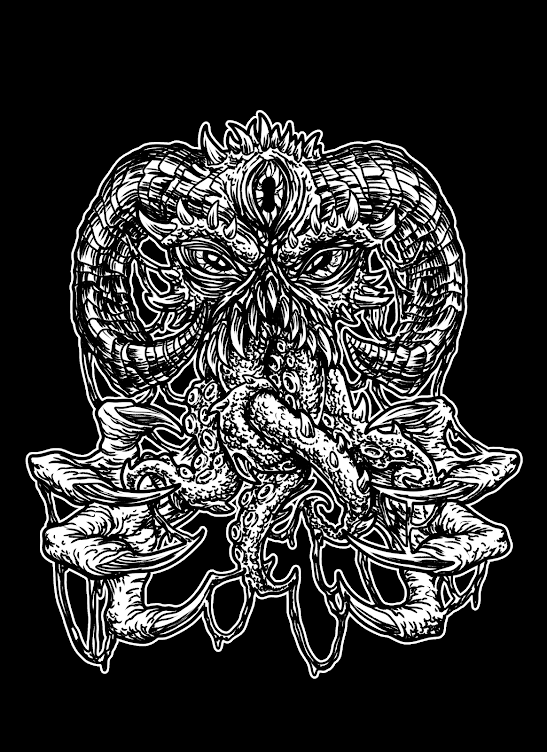 If you’re a fan of new Occult Doom Rock Bands such as Orcus Chylde then these guys will blow your whole world apart. The band are all excellent musicians and the amount of ideas they incorporate into this superb album will have you coming back for more. My fave part of the album are the keyboards and organs. These really do add an extra dimension not heard in other great Doom Metal Albums. It makes this album feel truly alive at times. My fave track has to be the 15 minute epic Chattox. It’s full of great occult rock riffs that the band are masters at. This track shows the whole band’s talent to wondrous perfection. I am not the most imaginative person with words when it comes to reviews. I wish my review could do this album more justice. But it’s a brilliant album that should propel Black Magician into the forefront of British Doom Metal. When you feel that Doom Metal has gone a little stale of late here comes a band like Black Magician that manages to turn the genre on its head. The album is full top-notch riffs, vocals and lyrics to show these guys are one of the best creative bands in the UK Doom Metal scene right now. The album is brilliantly produced and you can hear every dark note played to hard-rocking perfection. Kudos to Shaman Recordings (off shoot from one of the best Stoner/Doom/Sludge Music Websites – The Sleeping Shaman) and Burning World Records for releasing a truly wonderful album. If you want to buy this record on Vinyl you better be quick. Only available in 300 copies. This album will be on many best of 2012 lists including mine. Amazing. End Of.